The island challenge is a rite of passage for burgeoning Pokémon Trainers in the Alola region. Trainers can partake in this rite when they turn 11, which involves traveling through each of the four major islands of Alola and completing trials on each. The goal of those taking the island challenge is to become the strongest Trainer, known as the Island Challenge Champion. The Island Challenge consists of a number of trials on each of the Alola region's four islands. These trials are not limited to Pokémon battles; they may involve finding designated items or a test of knowledge, among other tasks. Trials are all difficult tasks that require Trainers to prove themselves. To finally complete the trial, the Trainer must defeat a Totem Pokémon in an SOS Battle. This involves you battling a wild Pokémon that can call additional wild Pokémon to its side during the battle. Each trial has a Trial Captain who provides guidance to Trainers undertaking a trial. 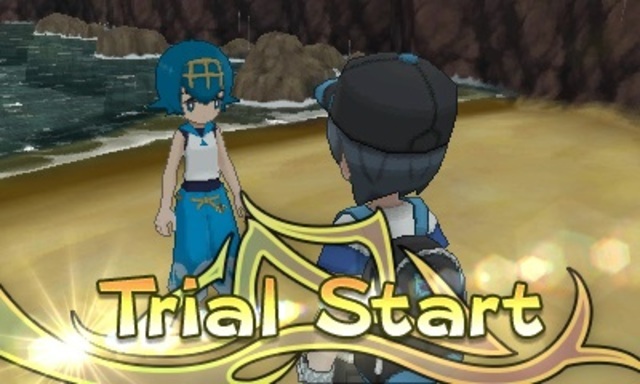 All of the Captains are Trainers who undertook trials during their own Island Challenge quest a few years earlier. Totem Pokémon are special Pokémon that are battled at the end of each island challenge trial. These Pokémon are larger than other Pokémon of the same species and are enveloped in a special aura. This aura boosts a specific stat of the Totem Pokémon by one stage at the start of the battle. 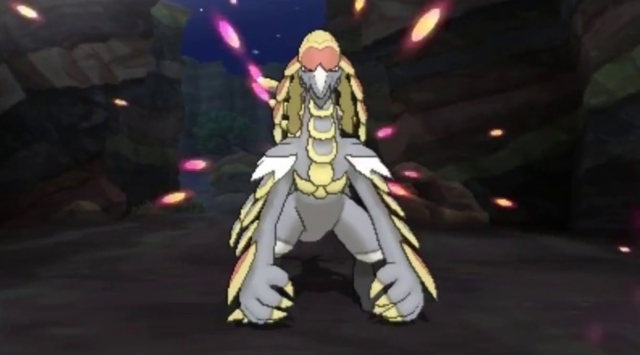 Since Battles with Totem Pokémon are always of the SOS variety, they will always summon an ally during the battle. The final trial on each island is called the Grand Trial. 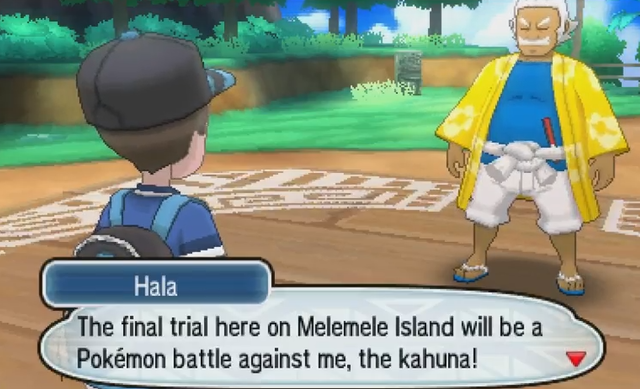 In the Grand Trial, you must battle the Island Kahuna. If you complete an island's Grand Trial, you are recognized as having cleared all of that island's trials and can move on to the next island. Completing grand trials will also allow traded Pokémon to obey you. In Ilima's trial, you must find and battle two Yungoos and a Gumshoos (in Pokémon Sun), or two Alolan Rattata and an Alolan Raticate (in Pokémon Moon). Along the way, you will face two Team Skull Grunts and battle one of them. Once defeated, the two grunts will help you finish the trial, after which you battle the Totem Pokémon. After defeating the Totem Pokémon, you will be greeted by Ilima for completing the trial and will receive a Normalium Z as a reward. For help with defeating the Totem Pokémon, read our guide on Totem Gumshoos or Totem Raticate. 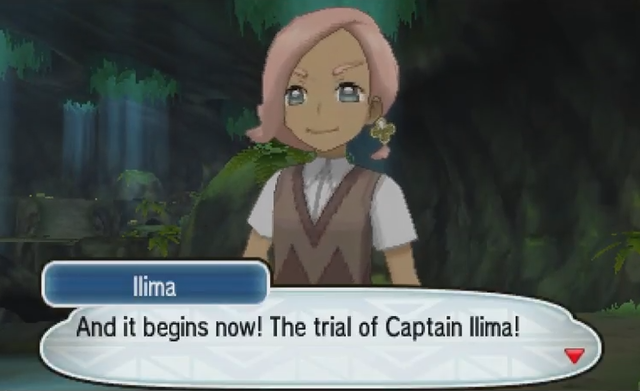 After clearing Ilima's Trial, you are invited back to Iki Town to battle Kahuna Hala in his grand trial. After defeating Hala, you receive a Fightinium Z. For help with defeating the Kahuna, read our guide on Kahuna Hala. 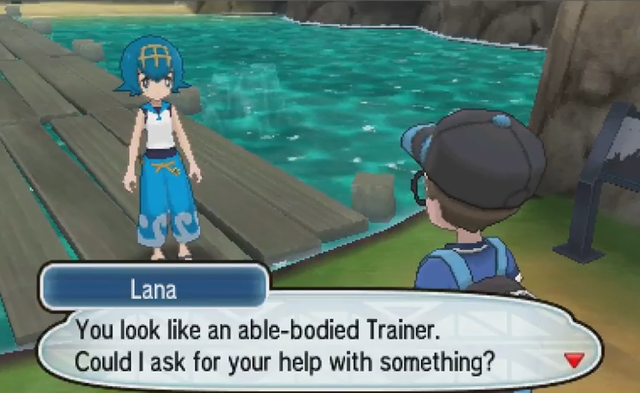 The first trial on Akala Island is Lana's trial. After investigating some mysterious splashing noises, you follow Lana through the trial gates, after which she explains that her trial involves defeating the Totem Pokémon: Totem Wishiwashi. After defeating the Totem, you are rewarded by Lana with a Waterium Z and a Fishing Rod. For help with defeating the Totem Pokémon, read our guide on Totem Wishiwashi. 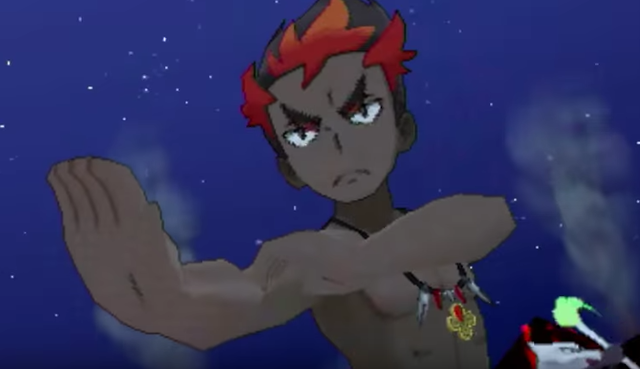 In Kiawe's trial, multiple dances are performed by three Alolan Marowak. Each time two dances are performed, you have to tell the difference between the two, after which a battle ensues. The first battle is against an Alolan Marowak, the second against a Hiker with a Magmar, and the third against the Totem Pokémon: Totem Salazzle. After succesfully defeating the Totem, you are rewarded with a Firium Z. For help with defeating the Totem Pokémon, read our guide on Totem Salazzle. In Mallow's trial, you have to find the following four ingredients: a Mago Berry, a Tiny Mushroom, a Revival Herb, and a Miracle Seed. You can find these by searching for them with the help of Stoutland Search. While looking for the ingredients, you also have to battle multiple Pokémon: a Parasect (Pokémon Sun) or Shiinotic (Pokémon Moon), and multiple Fomantis. 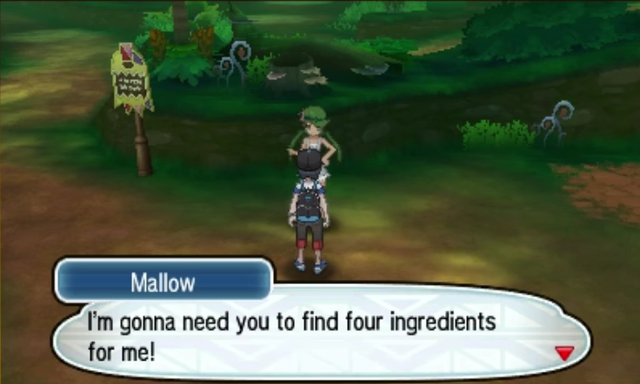 After finding all the ingredients, you help Mallow prepare the Mallow Special. This will lure out the Totem Pokémon, which you then have to defeat. After having completed the trial, you are rewarded with a Grassium Z. For help with defeating the Totem Pokémon, read our guide on Totem Lurantis. 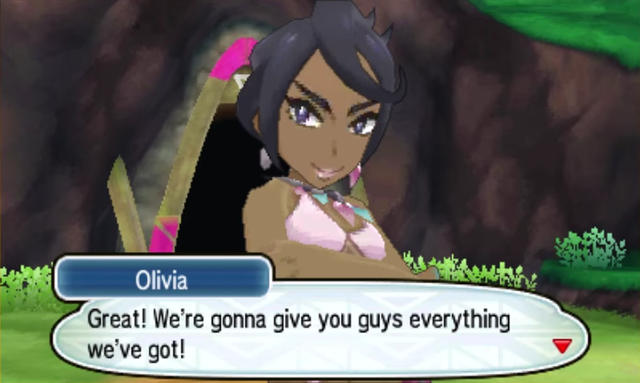 After completing all three of Akala's trials, you are invited by Olivia to meet her at the Ruins of Life. When arriving there, Olivia immediately challenges you to a battle. After defeating her, you are rewarded with a Rockium Z. For help with defeating this Kahuna, read our guide on Kahuna Olivia. The first trial on Ula'ula Island is in the Hokulani Observatory. Captain Sophocles has invented the "Ping Totem Pokémon 2.0" to broadcast sounds audible only to Pokémon to lure the Totem Pokémon. As soon as it's activated, it causes a fuse to blow, and you have to complete a series of audio quizzes to open the security door. 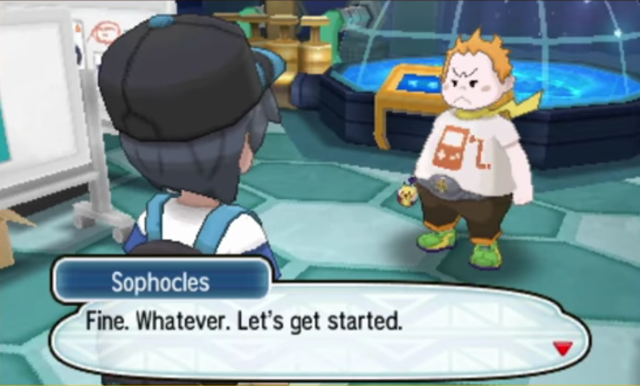 Answering incorrectly causes Sophocles to receive an electric shock and you are asked the question again. After completing each quiz, you battle a Pokémon: first a Grubbin, then two Charjabug, and finally the Totem Pokémon: Totem Vikavolt. After defeating the Totem Pokémon, the power is restored to the observatory and you are rewarded with an Electrium Z and a Steelium Z. For help with defeating the Totem Pokémon, read our guide on Totem Vikavolt. In the second Ula'ula trial, you are asked by Captain Acerola to use the Poké Finder to take a picture of the Totem Pokémon Mimikyu, in the abandoned Thrifty Megamart south of Route 14. In order to lure the Totem Pokémon out, you must take photos of several Ghost-type Pokémon in the Megamart. To find these Pokémon, the player must investigate curious phenomena, after which a Ghost-type Pokémon becomes visible in the Poké Finder. When you take a photo with the Pokémon in the center of the frame, it will spot you and attack. The Ghost-type Pokémon you battle are a Gastly, a Haunter, and a Gengar. After defeating each Pokémon, what appears to be a Pikachu will run in the direction of the next phenomenon. It will run towards the back door once you have defeated the last Pokémon, which will then unlock. After entering the back room, the Poké Finder will fire up automatically. When you take a photo of Totem Mimikyu, you must defeat it in battle. 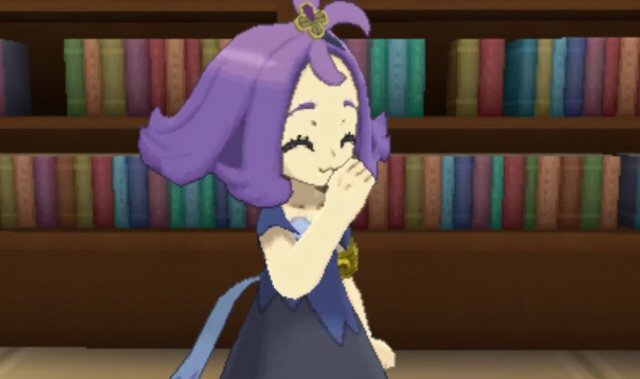 After defeating Totem Mimikyu, Acerola checks your photo of Mimikyu and gives you a Ghostium Z. For help with defeating the Totem Pokémon, read our guide on Totem Mimikyu. 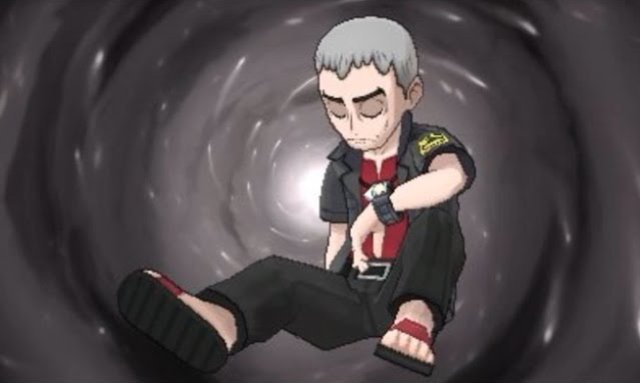 After defeating Team Skull in Po Town, you are challenged by Kahuna Nanu in Malie City for his grand trial. After defeating him, you are rewarded with a Darkinium Z. For help with defeating this Kahuna, read our guide on Kahuna Nanu. 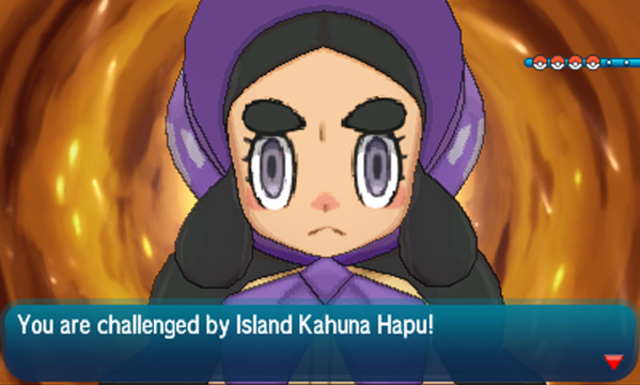 When arriving in Vast Poni Canyon, Kahuna Hapu challenges you to a battle. After defeating her, you are rewarded with a Groundium Z. For help with defeating this kahuna, read our guide on Kahuna Hapu. Before gaining access to the Altar of the Sunne (Pokémon Sun) or Altar of the Moone (Pokémon Moon), you have to go through Kommo-o's trial. This trial is not attended by a Captain. You must proceed forward in the Totem's Den, battling a wild Jangmo-o and Hakamo-o as you proceed to a pedestal. Before you can retrieve the Dragonium Z from the pedestal, you are attacked by the trial's Totem Pokémon: Totem Kommo-o. For help with defeating this Totem Pokémon, read our guide on Totem Kommo-o.